It’s been almost a week since Thanksgiving, so here is the latest edition of “The Science Behind…,” where I explain what is going on in muffins generally, and my Thanksgiving hangover muffins in particular. 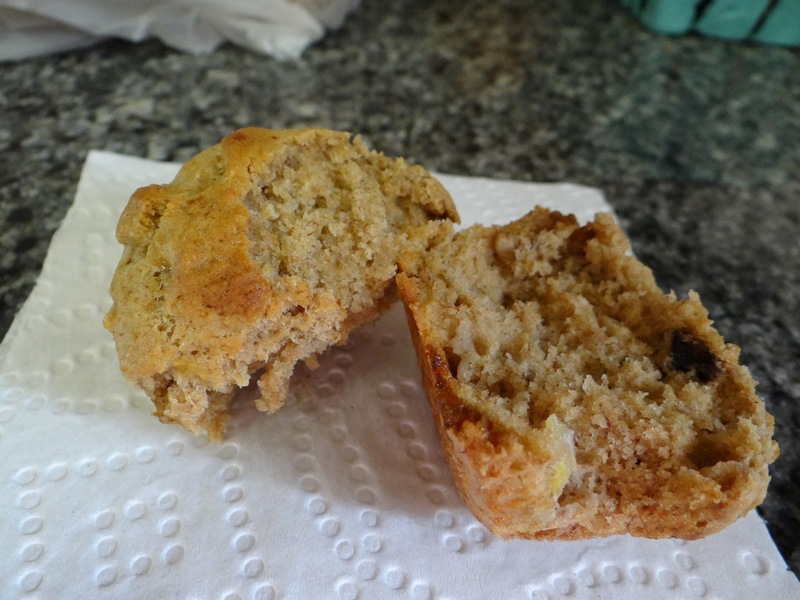 If you haven’t already, please check out the recipe for Thanksgiving hangover muffins here. 1. How are breads and muffins different? 2. How is baking with baking powder/baking soda different from baking with yeast? 3. What gives muffins their cakey texture? 4. What gives muffins their structure? 5. 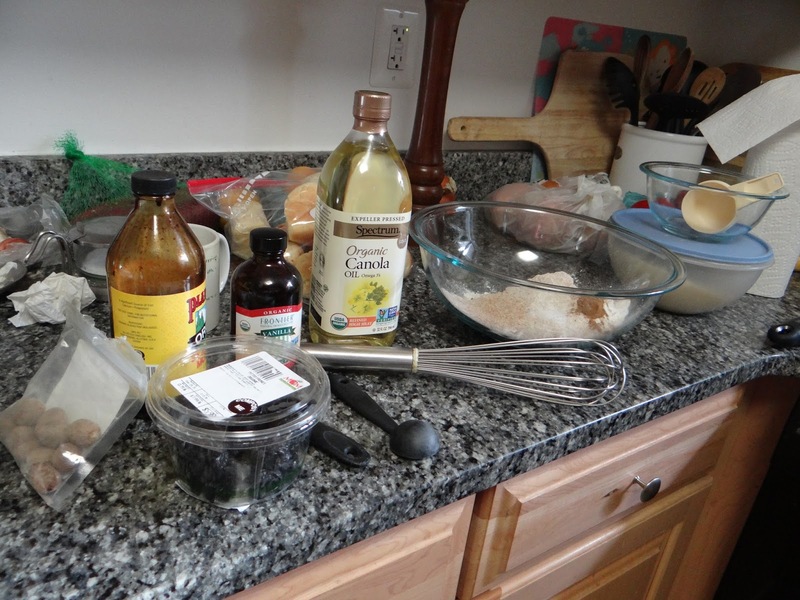 Quick breads often have you separate wet and dry ingredients and then combine them at the last moment. Why is that? 6. What can I substitute out from the recipe? 7. My muffins are tough! Why? 1. How are breads and muffins different? Muffins are basically a quick bread, meaning instead of yeast they rely on baking powder and baking soda to rise during baking. 2. How is baking with baking powder/baking soda different from baking with yeast? Baking soda is sodium bicarbonate. Baking powder is baking soda mixed with a starch (typically cornstarch) and a powdered acid (typically cream of tartar). When baking powder is mixed with any liquid, it forms carbon dioxide gas resulting in a light, fluffy muffin. Unlike yeast which takes time to release gas, the chemical reaction between baking soda and acid is immediate and so the batter must be baked right away. For this reason, breads that use baking soda or baking powder are called quick breads. 3. What gives muffins their cakey texture? You may have already guessed why these muffins (and all quick breads) have a cakey texture; it’s because the gluten doesn’t have time to develop if you have to mix and cook it right away. Also, quick breads tend to have very wet, runny batters (sometimes called “pour batters”) which provides lots of room for small air bubbles to form. 4. So if gluten doesn’t get a chance to form, what provides the structure for these muffins? The eggs! If you remember from the last “The Science Behind…,” eggs contain both fat and protein. Protein is mostly found in egg whites, and like gluten strands in flour, it traps the carbon dioxide released by the baking powder or by the baking soda + acidic liquid. 5. Quick breads often have you separate wet and dry ingredients and then combine them at the last moment. Why is that? 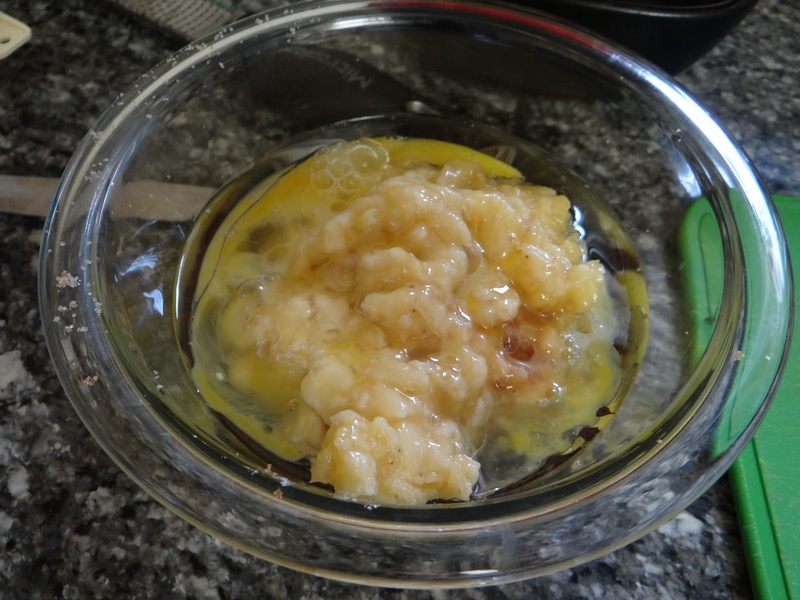 Again, because the chemical reaction between the baking powder and the liquid takes place the minute they are combined, recipes often instruct the cook to combine all the wet ingredients together, then all the dry ingredients together before combining the wet and dry into the final batter. This isn’t always necessary, but with two Little Bread Offspring, I find it is a lifesaver. Often I will mix up the dry ingredients, then I can walk away and do something else knowing nothing chemically will happen while I’m gone. So, it’s not exactly the Michael Ruhlman ratio, but it’s pretty close. The lower amount of liquid in the bananas is balanced out by the higher amount of liquid fat in the canola oil. If you take the above ratios, you can create literally any kind of muffin. Make sure you know how much water is in a given ingredient, such as carrots (87% water) or zucchini (95% water) if you want to swap those in for the bananas. If your batter is too dry, just add more oil to compensate. *Be careful with acidic liquids, such as buttermilk or yogurt, as those will affect the amount of baking powder and baking soda you need to use (remember, baking soda reacts with acidic liquids in order to release carbon dioxide). They also contribute to the total fat in the recipe. That’s not all we had in the muffins, though. We also had 1/2 cup sugar, which equals 112g. Sugar isn’t necessary for muffins, but it doesn’t hurt either. 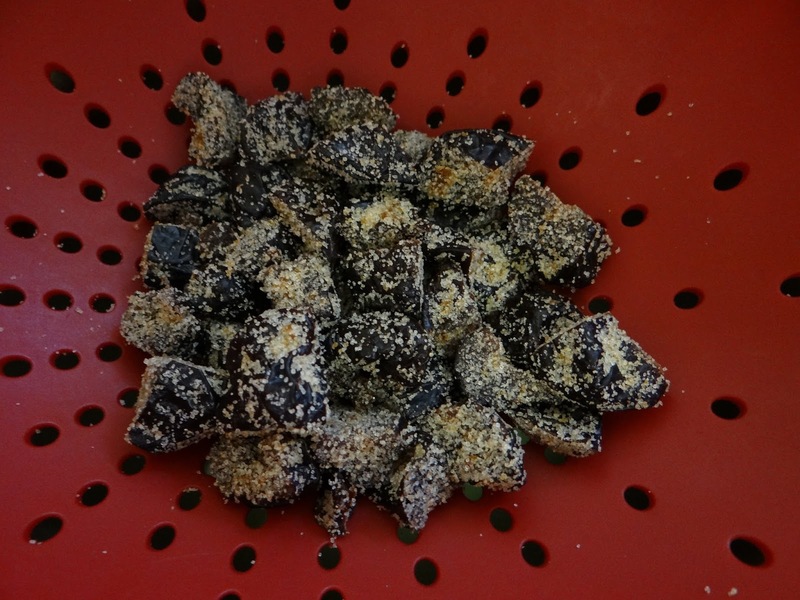 We also had prunes, spices, and vanilla, which don’t affect the overall structure or hydration of the batter. We do have to figure out how much baking powder and baking soda to add, though. The heavier your batter is, from mix-ins like prunes, or the more acidic it is, will determine how much baking powder to add. For 12 muffins, 1 1/2 teaspoons of baking powder and 1/2 teaspoon of baking soda sounds about right. If you have a lot of mix-ins or are using buttermilk, I would bump it up to 2 teaspoons baking powder and 1 teaspoon baking soda. 7. My muffins are tough! Why is that? There are two possible and related reasons your muffins are tough. One is too much wheat protein (gluten), and the other is too much egg protein. 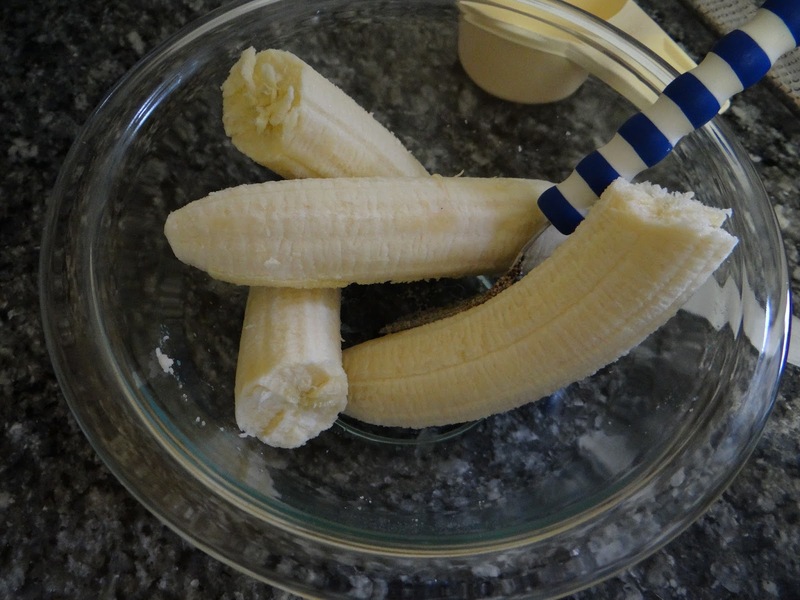 Overmixing your batter. 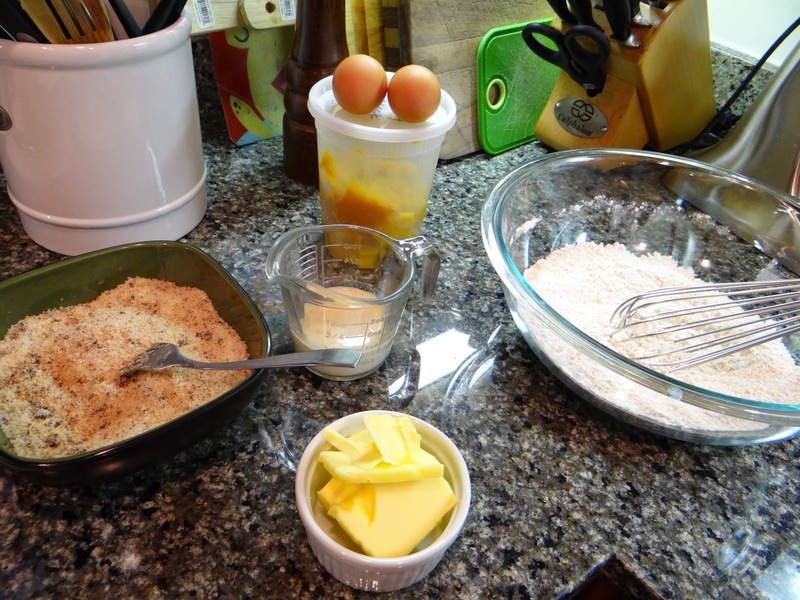 As you might recall from question #4, muffins get their fluffy, cakey texture because gluten is not given a chance to form before the muffins are baked. 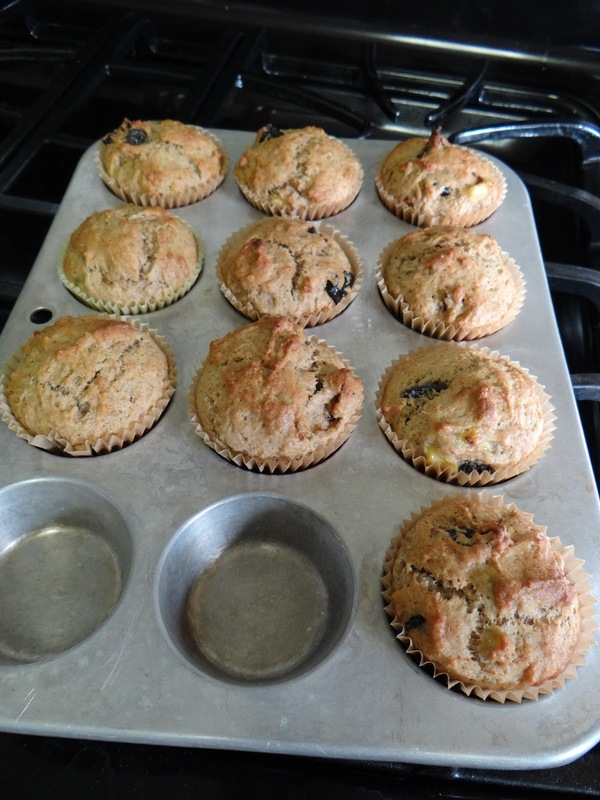 You want your muffins to get their structure from egg proteins, not gluten. 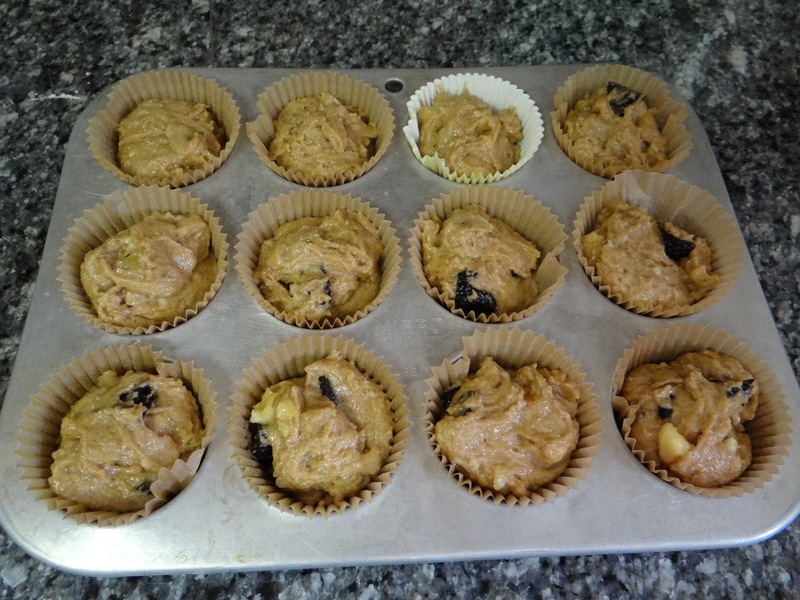 If you mix the ingredients together too much, the gluten will start to form, resulting in tough muffins. Too much egg protein. When I first started out making muffins, I thought the solution to dry muffins was to add a little more of each wet ingredient. That meant, if the recipe called for one egg, I would add another. This is NOT a good solution! As I mentioned earlier, muffins get their structure from egg white protein strands that form a net to trap the carbon dioxide released from the baking powder and baking soda chemical reaction. If there is too much egg white, too much netting will form, resulting in tough muffins. So how do you prevent these two problems from happening? First, don’t mix too much. Whisk your dry ingredients so they are evenly distributed before you add the wet ingredients. Then, when you have added your wet ingredients to the dry, use a spatula to gently mix everything together until it just combines. If your batter is too dry, keep adding more oil until it’s the consistency of mashed potatoes. 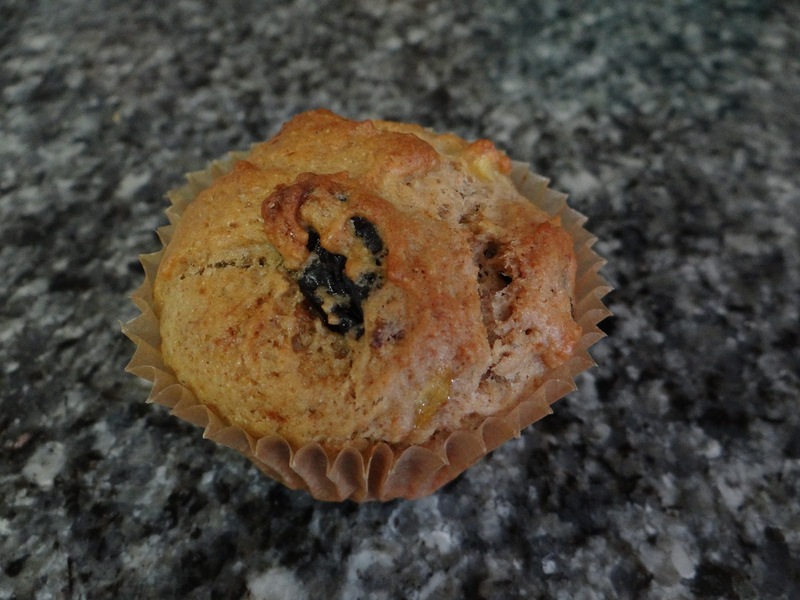 I hope this post has been helpful for not only understanding the science behind muffins, but also give you the tools and confidence you need to mix things up and create your own muffin creations.